Whether it’s a unique, live theatre or music performance, a day of serene hiking or biking, spectacular shopping, recreation, or relaxation, Sturgeon Bay, Door County has plenty to offer visitors of all ages. In fact, family friendly entertainment and activities are reasons why both visitors and locals alike enjoy spending time in Sturgeon Bay. 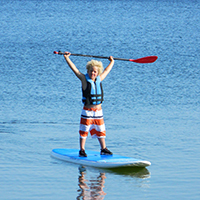 As we get ready for another peak tourist season, we’ve complied a list of the top 10 family friendly activities our area has to offer to help you plan the perfect Sturgeon Bay experience! 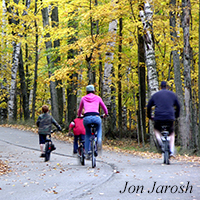 Sturgeon Bay is home to 10 county parks, a state park, and numerous nature preserves that lend themselves to a variety of educational and healthy ways to get out and enjoy the great outdoors. Sunset Park, located along the Sturgeon Bay ship canal, provides plenty of room for picnics and tennis. There’s also beach access, a boat launch, pavilion, playground, and a Frisbee golf course ensuring a full day with plenty to do. Potawatomi State Park offers 123 campsites, eight miles of off-road bicycle trails, several hiking trails including the eastern trailhead of the Ice Age National Scenic Trail and a 75-foot observation tower that rises above the forest canopy providing breathtaking views of the surrounding area. Crossroads at Big Creek is 125-acre nature preserve which aims to provide classes, lectures, programs, concerts, and other activities which promotes learning for individuals of all ages. Indoor and outdoor laboratories, a greenhouse, and unique library encourage study and research of environmental sciences. A series of trails also allows groups and individuals to explore the beauty of the area themselves or with an experienced naturalist. Rent a boat, kayak, paddleboard, Jet Ski, sailboat, or canoe for a day of fun out on the open water. With miles of coastline along Green Bay and Lake Michigan, Sturgeon Bay has amazing options when it comes to experiencing the water, and you don't want to miss out! Many locations throughout the area offer rentals including Potawatomi State Park, Bay Shore Outfitters, Nor Door Sport and Cyclery, Shore to Shore Rental, and Door County Boat Rental. Embark on an educational adventure by exploring the Door County Maritime Museum, the Door County Historical Museum, the Miller Art Museum, and Heritage Village at Big Creek. Located on the beautiful, downtown waterfront, the Door County Maritime Museum showcases the area’s rich maritime heritage from lonely lighthouse keepers to bold inventors and skilled craftsmen. Visitors are also welcome to take a 40-minute guided tour of the John Purves, a fully restored 1960s era Great Lakes tugboat. The featured 2015 exhibit, Sea Dogs, opens May 16, 2015 and offers visitors insight into the mutually beneficial relationship humans and dogs have had for tens of thousands of years on the open water. Visitors can expect original art, historic photographs, videos, interactive games, and other activities that illustrate the special role dogs have played in maritime history and heritage. 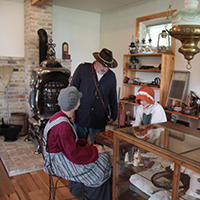 Named “The Best Small Museum in the Midwest,” by the Chicago Tribune, the Door County Historical Museum allows visitors to step back in time with exhibits on the area’s early settlers, orchards, industries, and much more! There’s also a “Seasons of Life” wildlife diorama containing over 100 native species and historic fire trucks to see. Founded in 1975 through the generosity of Gerhard and Ruth Miller, Miller Art Museum is a non-profit cultural arts institution open all year with galleries that feature changing exhibits rich in diversity and expression. Now more than 40 years since it was founded, the Miller Art Museum continues to serve as an inspirational hub for both visitors and locals. Spend an afternoon perusing the galleries and small gift shop — you’ll be glad you did! The Heritage Village at Big Creek is a collection of nine historically and architecturally significant buildings depicting Door County’s development from 1852-1910. Open daily from mid-June through September, interpreters offer guided tours of the village’s buildings. Demonstrations, performances and special historical programming are featured throughout the summer. Named the number one Bass fishing location in the United States by Bassmaster in 2014, Sturgeon Bay is home to some of the best fishing in the country. From Bass to Walleye, King Salmon, Brown Trout, and other fresh water favorites, fishing is an enjoyable pastime everyone can enjoy. Best of all, you don’t even need to worry about bringing your gear if you don’t want to. A number of expert local charters are happy to take groups of friends and families out on the open water for a trophy fishing experience unlike anywhere else. 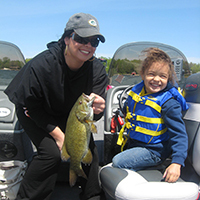 In fact, if your family enjoys fishing, mark your calendar for the 30th Annual Kids Fishing Derby at Sunset Park in Sturgeon Bay June 21 from 11am to 2pm. The entry fee is just $2 and prizes will be awarded! 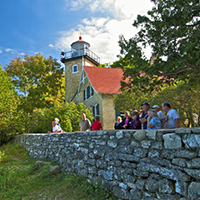 June 9 through the 11 is Door County’s 24th Annual Lighthouse Festival and featuring 12 different land and water tours, including a trolley lighthouse tour, a lighthouse ghost tour via trolley, and a Sturgeon Bay area Fireboat cruise at sunset. Special viewing opportunities will exist at the Sherwood Point Lighthouse (Saturday & Sunday) and the Sturgeon Bay Canal Station (Saturday & Sunday) for a freewill donation. Can’t make it for the lighthouse festival? There’s no need to worry; you can still get a glimpse of these beautiful lighthouses all year long on foot. 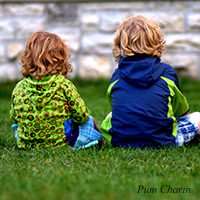 Every other Friday evening from June 19 through August 28, family friendly movies are shown at Martin Park in downtown Sturgeon Bay. The movies will begin at dusk (approximately 8:30). Bring lawnchairs, and don’t forget a blanket. It sometimes gets a little chilly being just a few blocks from the ship canal! Check for posters around town or call the SBVC office at 920-743-6246 for details. 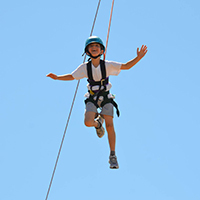 Embark on a day of fantastic memory making at Door County Adventure Center with a high/low ropes course, a zip line tour, indoor climbing, an obstacle course or kayak tours of Cave Point County Park. If you have kids that want to keep active, this is a great option. And they'll be sure to sleep well after all that action! With over 20 years of experience, you can rest assured you’ll have a great experience with a knowledgeable staff on hand every step of the way. Located on Highway 57 just north of Sturgeon Bay, The Farm is a living museum of rural America complete with bottle-fed goats, lambs, and piglets. See chicks hatch right before your eyes, take a leisurely stroll on the beautiful nature trail, and then relax in the serene garden. 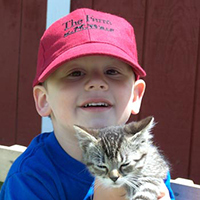 Imagine the photos you can get of your kids with all the animals! 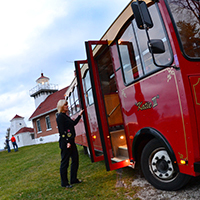 Take the guesswork out of sightseeing with a one-of-a-kind tour with Door County Trolley. The Lighthouse Trolley Tour takes visitors on an intriguing tour of four lighthouses and ends with a waterfront lunch. There’s also a Scenic Tour that provides breathtaking island vistas atop 225-foot bluffs. Maybe a carriage or sleigh ride would fit into your schedule, Mayberry's Carriages. Is riding a Segway on your bucket list? The minimum age is 11 for a tour with Segway the Door. That's something the kids will talk about long after you return home! 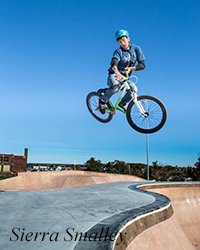 Opened in fall of 2014 and located at 16 W. Spruce Street on Sturgeon Bay’s growing west side, the Sturgeon Bay Skatepark Initiative is working in partnership with the City of Sturgeon Bay to provide a public skatepark where skateboarders of every level can meet to improve their skills in a challenging and safe manner.